MK accuses social media giants of tolerating incitement; former Mossad official: Social media the most important sphere for fighting terror. Has terror found a safe haven - online? Former senior Mossad operative Uzi Shaya spoke today (Tuesday) at a conference entitled “Towards A New Law of War”, held in Jerusalem by “Shurat Hadin”, a human rights organization dedicated to taking legal action against terrorist groups and those who fund them, which is currently representing 20,000 Israelis in a lawsuit against none other than Facebook. 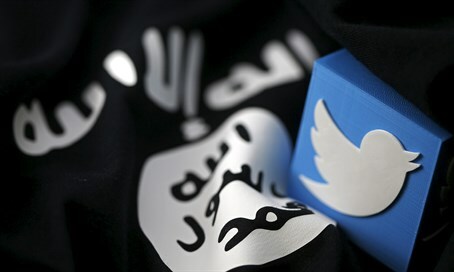 “One of the most significant theatres of terrorism today is incitement in social media such as Facebook, Twitter, and others. The biggest problem is that Facebook and Twitter have no incentive to combat this disturbing phenomenon even though they have the technological capability to do so,” Shaya said. Shaya, who was at the forefront of the Bank of China affair, said at the conference that the social media companies’ behavior is reminiscent of the way banks used to allow terror groups to run accounts in their establishments with impunity. “The media companies say they’re not responsible for the content of the webpages and other such excuses. This reminds me of the banks’ response when we first asked them to stop transferring funds to terrorist groups”, he recounted. Shaya also heavily criticized the management of social media companies, claiming that “they employ a double standard, deleting ISIS accounts but not Hamas ones. Musa Abu Marzuk, Khaled Mashaal, and all the rest of the Hamas leaders have Facebook and Twitter accounts. Hamas’ Twitter account is nothing less than a zone of terrorist activity. “This is the most effective of weapons. Even after the Sarona attack the Hamas leader proclaimed on Twitter that there will be more terrorist attacks leading up to Ramadan and that there will be Jihad—and nothing was done”, Shaya added, referring to the deadly shooting attack in Tel Aviv earlier this month. MK Revital Swid of the Zionist Union spoke at the conference about her failed attempts to convince Facebook management to remove pages containing incitement against Jews. According to her, the fact that these are international corporations means that Israel doesn’t have the legal tools to fight against this incitement. “These are companies that aren’t based in Israel, even if they do have offices on Rothschild Boulevard. It’s impossible to contact them or get a hold of them and most importantly, there’s no one to sue,” Swid said. Swid emphasized that “Just as Facebook, as a matter of policy, doesn’t allow pornographic material on its platform, it can also find and remove terrorist incitement. I’ve proposed a bill which would put the liability for monitoring content for incitement squarely on the shoulders of the social media companies. The bill defines incitement to terrorism and stipulates a fine of 300,000 shekels, with the ability to challenge it in court, if a social media company fails to monitor and remove incitement. “The decision to monitor and remove incitement is a matter of company policy. Social media platforms will only cooperate if they have monetary incentive to do so,” explained the MK.